While some find it convenient to meet our Pittsburgh bankruptcy attorneys in our suburban locations, many of our clients visit Steidl and Steinberg in our main office, located at 707 Grant Street on the 28th Floor of the Gulf Tower. You can schedule a free consultation with any of our attorneys, or meet with any of our paralegals to prepare and review your case paperwork. Parking is available one block from our downtown Pittsburgh office in the Greyhound bus station located at the intersection of Liberty and Grant Streets. 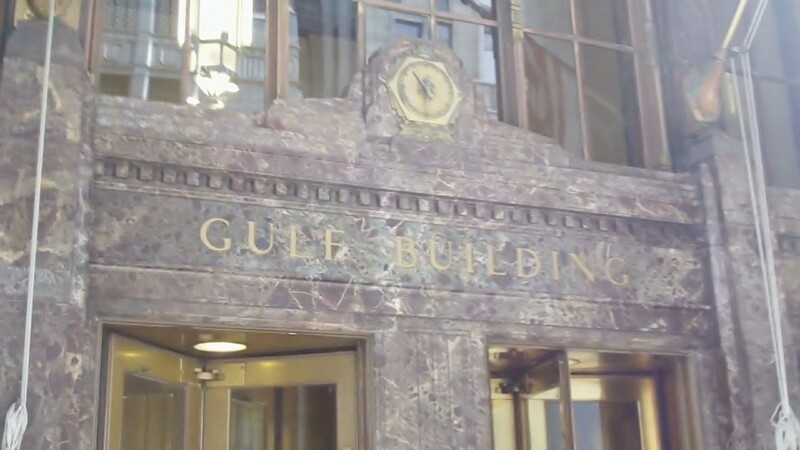 The Gulf Tower is handicapped accessible by entering the doors on Seventh Ave. Take the elevator to the 28th floor and turn left. Steidl and Steinberg also has suburban offices in Beaver, Belle Vernon, Carnegie, Erie, Cranberry Township/Butler, Greensburg, New Kensington, Monroeville, Washington and Uniontown. The Gulf Tower is on the corner of Grant and Seventh Street directly across the street from the old U.S. Post Office. Parking is plentiful and close by. If you need verbal directions, please feel free to call us at 412-391-8000 or 1-800-360-9392. Drive one more block on Grant St. and turn left. The entrance to the bus station parking garage is on the left. When you leave the bus station, proceed across 11th Street and Liberty Ave to Grant Street. Walk down Grant Street one block to the Gulf Tower entrance. Our office is located on the 28th floor. Continue on Liberty Ave. to Grant St. and turn left. Go one block on Grant St. and turn left. The entrance to the bus station parking garage is on the left. When you leave the bus station, proceed across 11th Street and Liberty Ave to Grant Street. Walk down Grant Street one block to the Gulf Tower entrance. Our office is located on the 28th floor. Turn right at the first light on Penn Ave. Follow Penn Ave. to the bus station just past 12th Street. The entrance to the bus station parking is on the left. When you leave the bus station, proceed across 11th Street and Liberty Ave to Grant Street. Walk down Grant Street one block to the Gulf Tower entrance. Our office is located on the 28th floor. If you live in Allegheny or Butler County, your Chapter 7 Meeting of Creditors will be held at the Liberty Center, which is located at 1001 Liberty Ave., Pittsburgh, PA 15222. Parking is available across the street from the Liberty Center in the bus garage. Proceed through the main doors (between Bill’s Burgers & Bar and Allegent Credit Union) and, after you provide identification to the security guard, proceed to the elevators. Take the elevator to the 7th floor and follow the signs to Room 740.